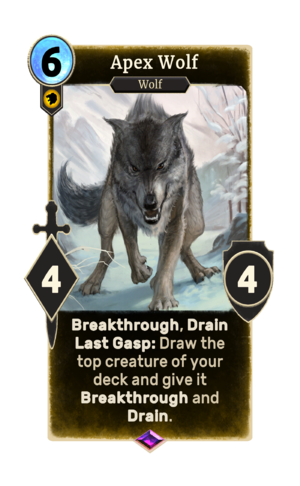 Apex Wolf is an epic Willpower creature card. It is part of the FrostSpark Collection. This page was last modified on 20 February 2019, at 15:33.